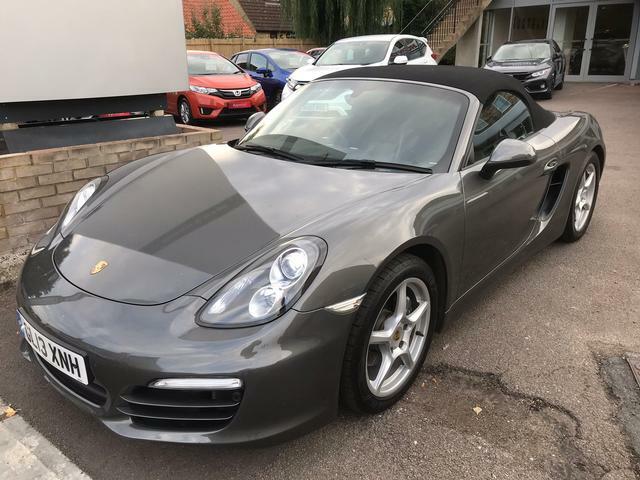 We are delighted to offer this stunning new generation Boxster 2.7 PDK 7 speed transmission for sale. It is finished in lovely dark grey metallic with black hide trim, and only 28000 miles. It has paddle shift, auto climate control, heated seats, and only 3 owners, with a full main dealer history. We will service, mot and warrant this car before it leaves us, with full aftersales backup, part ex is also welcome.